Amazon and GameStop have confirmed that customers who preordered the bundle will have their consoles ship on release. For those of you who pre-order the Watch Dogs PlayStation 4 bundle-don't worry-you will still be getting your PlayStation 4 (without Watch Dogs) based on your current delivery estimate. We are adjusting the orders now and will update you once we know more. The confirmation that customers will still be receiving the next generation consoles might still be cold comfort to some. Watch Dogs has been highly anticipated since its announcement at E3 2012 and the delay was unexpected so close to release. 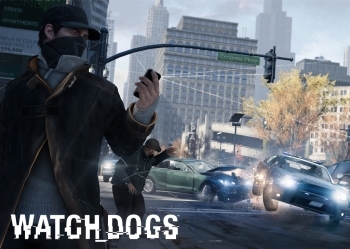 Watch Dogs was poised to be a launch title on both PlayStation 4 and Xbox One. Ubisoft has revised its financial targets down in light of the delay of both Watch Dogs and multiplayer racing game The Crew. Both titles will miss the November console launches and the holiday sales season.